CRANING ITS NECK: A still from the new documentary Sanctuary showing a caged crane at a monastery in Lumbini. New York-based ecological artist and activist Lillian Ball is not a film-maker. 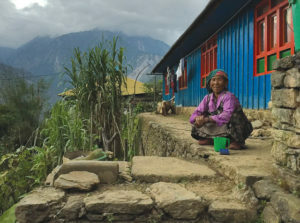 But her activism to protect the world’s wetlands through images brought her to Nepal and Lumbini. After meeting a young Buddhist monk in Nepal, she was inspired to make a film on the wetlands of Lumbini, which have been a home to Sarus cranes since the time of the Buddha. Sanctuary, her debut documentary, is not a high-end film, but a well-meaning attempt to highlight the threats from developers and save the sacred Sarus cranes. 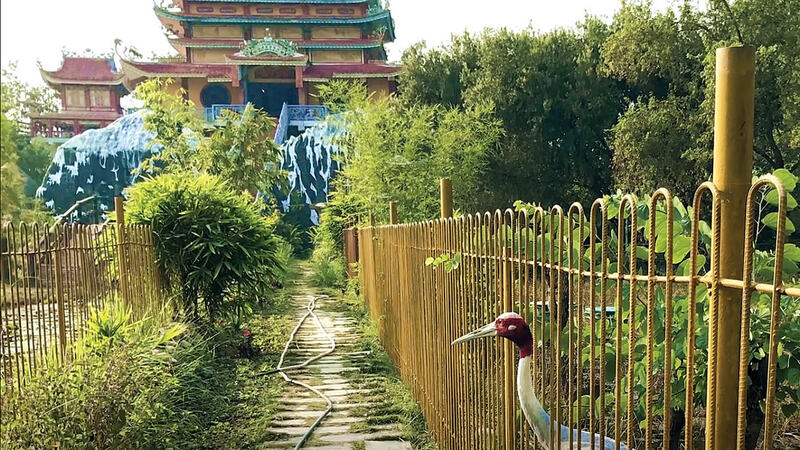 Shot with an iPhone and a point-and-shoot camera, Sanctuary also uses stills and clips to show us what the Nepal government does not want us to see: Lumbini turning into a Buddhist theme park, and human greed destroying the last remaining habitat of the cranes. Ball, a faithful Buddhist, first went to Lumbini after joining a Dutch charity helping people affected by the 2015 earthquake. 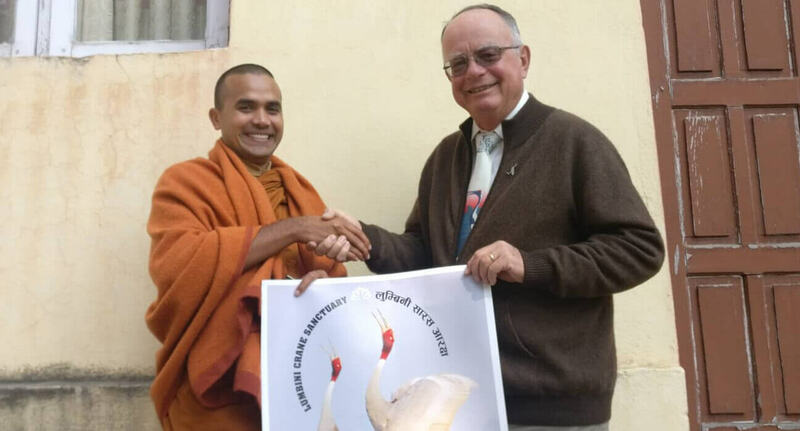 She met Venerable Metteyya (pictured overleaf), the 32-year-old monk working to protect wetlands and Sarus cranes in Lumbini. Metteyya narrated the ages-old fable of the Buddha saving a wounded Sarus crane so eloquently that she just took out her iPhone, and started taking a video of him talking. He walked her around wetlands, and she shot him explaining correlation between Buddhism and nature. Metteyya, now Vice Chair of Lumbini Development Trust (LDT), features prominently in the 30-minute film which opens with a text that says bluntly: ‘Overdevelopment threatens the Sarus cranes in Lumbini…’, adding how proposals to build luxury hotels and a five-star meditation centre in the crane sanctuary can wipe out a fabled bird species from the Buddha’s birthplace. The documentary ‘Sanctuary’ will be screened at Yantra House, Kathmandu on 6 December, 5:30–7PM. Why does the credit crisis keep repeating itself?